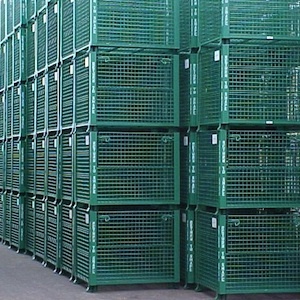 We are fabricators of material handling solutions including racks, carts, dollies, workstations, wire baskets, and more. Bring us your problem and we'll solve it beginning with an initial conceptual design phase, into engineering and 3D rendering, production, and on-time delivery. Whether you need a single custom piece or thousands, we have the capabilities and resources to fulfill any order. Visit our project portfolio for examples of our craftsmanship. At your request, one of our project consultants will visit your facility to gain a better understanding of the material handling or storage problems you would like us to solve for you. That person then works with our team to develop an accurate proposal and concept to meet your needs. Your problem is solved with a ready to build solution by Kenowa's Design Team. Our experienced staff can meet your needs, taking an idea from concept to complete design with state of the art technology. 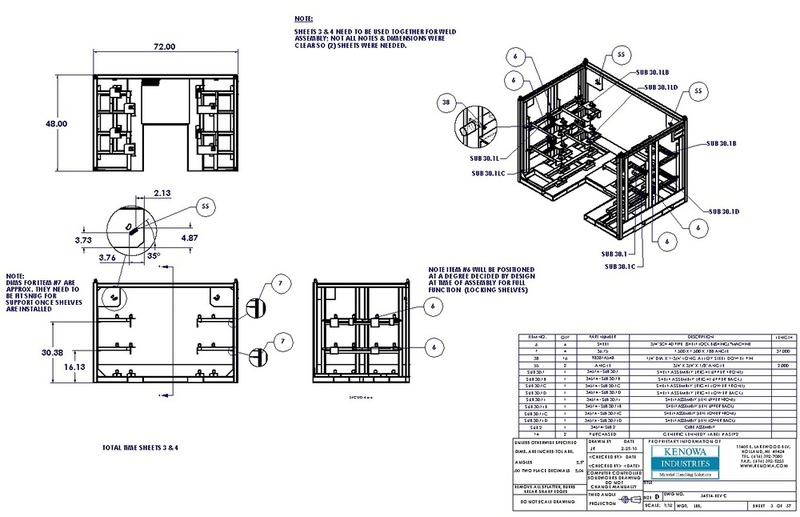 Our engineers work with CAD and SolidWorks software. Kenowa knows packaging. For nearly thirty years, we have built a reputation designing functional products. Working with a multitude of dunnage resources, Kenowa will solve your most challenging packaging issues. We commonly work with: Crosslink Foam, Vinyl Pouches, High Density Polyethylene, Fluted Rubber Profiles. Machined Nylon, Corrugated Plastic, Vacuum Formed Profiles, and UHMW. At Kenowa we have the systems in place to handle high volumes of product manufacturing, repair, and modification. Our process can be employed to turn over the production quantities you need in the time you need them. Complete service operations include saw cutting, machining, welding, painting, and assembly. Renew. Reuse. Recycle. Existing racks can be modified to fit your needs: an economical solution for a new application. Often the cost to modify an existing container or rack is one-third of the cost of buying a new one. Need repairs made to damaged racks or bulk containers? No problem. Our professional team can fabricate anything to meet your needs. Show us your unique problem and we'll show you a design concept to solve it. We'll take on any challenge.